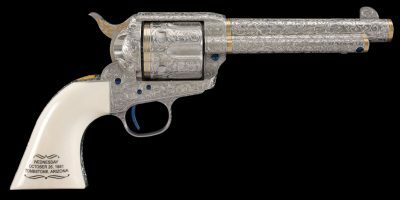 This is a US Repeating Arms 1886 chambered in .45-70. This rifle has a 22″ round barrel and an excellent bore. 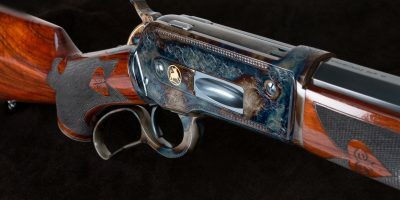 This US Repeating Arms 1886 has been custom upgraded by Turnbull. The barrel and parts have been re blued, and the receiver, hammer, lever, and fore end cap have been case color hardened. The stock and fore end have been completely refinished as well. 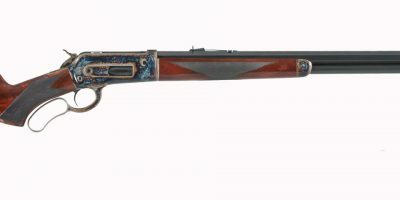 Additionally, the tang safety has been removed to match the traditional style of the Winchester 1886. For additional information or photos, please call 585-657-6338.